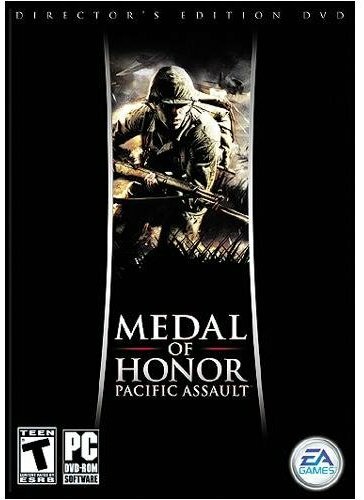 This simply adds the Pak7.rez file, the International Timeline, and Music Player all within the Director's Edition of Medal of Honor Pacific Assault into the base version digitally distributed everywhere, allowing everyone access to all the bonus features within the Director's Edition, such as behind the scenes videos, interviews with veterans, documentaries etc. Also included are instructions on how to modify the loadouts of weapons, so the player can also access the M1942 Johnson machine gun that's normally only accessible via the console in current versions of the game. Simply drop the contents of the .zip into the game's base folder. The directorsedition folder contains the Timeline and Music Player feature, both of which can be used anywhere, while the main folder contains the Pak7.rez file that allows access to supplementary videos within the game itself. To access these videos in-game, at the main menu, click Intelligence, and then Supplementary. If it works, you should see a list of videos. Also included are instructions on how to modify weapons. The stuff I listed are the only stuff I figured out, as modding for Pacific Assault seems rather scarce in general. I have no idea how to do anything beyond that, unfortunately, so I won't be able to help beyond that.